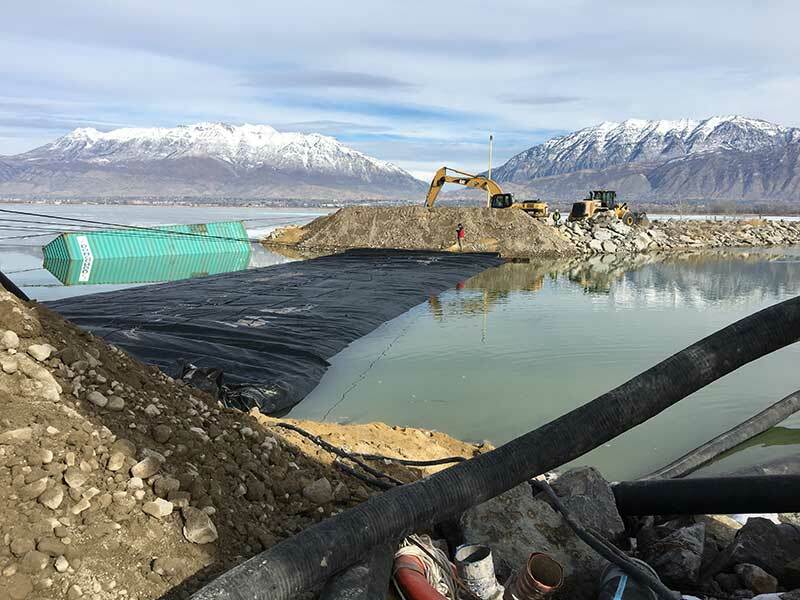 A look at the beginning of the project to dredge the marina at Utah Lake State Park, to make it easier for boaters to enjoy Utah Lake, even in low water. Geneva Rock working under direction of the Utah State Parks built a coffer dam across the mouth of the Provo marina in order to pump millions of gallons out of the marina to dredge the built up sedimentary soil. They will be excavating 2 to 3 feet of material from the approach channel and inner harbor areas.